Existentialism, 2011. 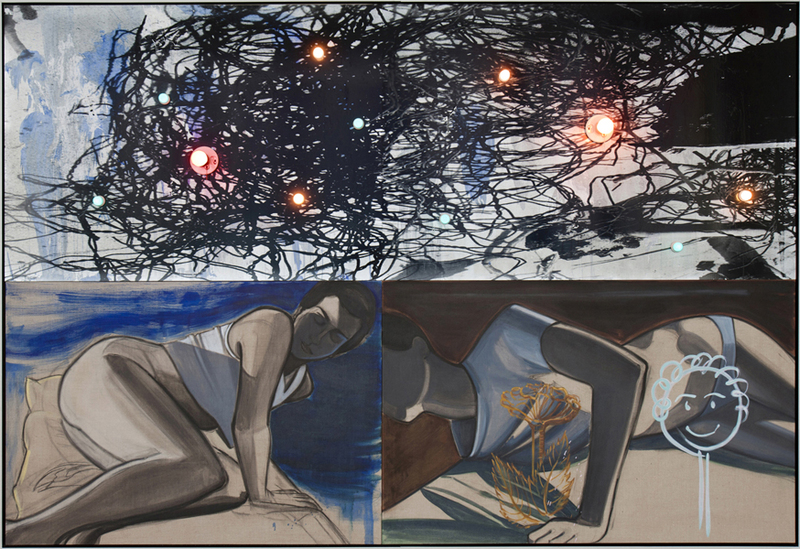 Oil and acrylic on canvas, oil and silkscreen on galvanized steel with lightbulb. 86 x 126 inches.